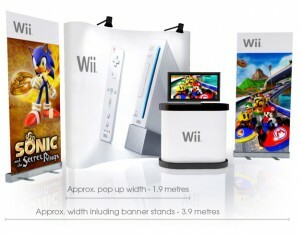 With so many options and sizes to choose from, for the first time exhibitor the options can be intimidating and endless. 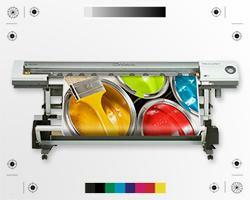 Many stands differ in terms of price quality, versatility and durability and so much more. Well we can help!. 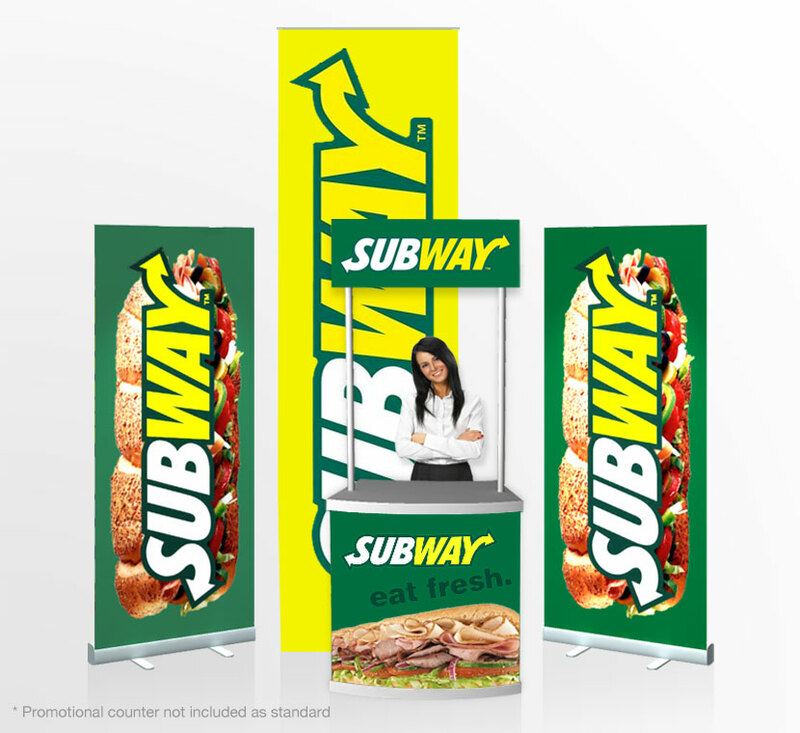 Stand Banner offer free impartial advice and will only advise on what accurately suits your exhibition stand banners needs and budget. 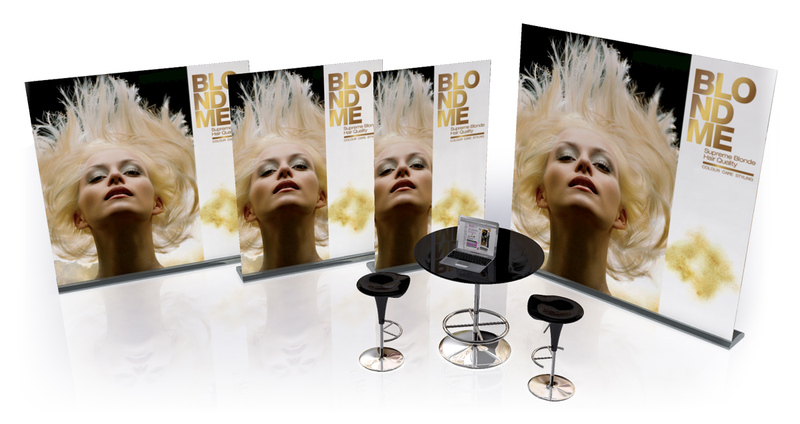 With probably the largest and widest selection of Exhibition Stands available in the UK and boasting over a one thousand products and services for every marketing promotion it’s no wonder that professional design and advertising agencies turn to us alike. 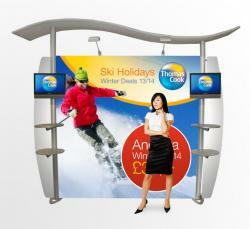 Firstly in order to get the best results/solution for your trade show, primarily you must establish your budget. 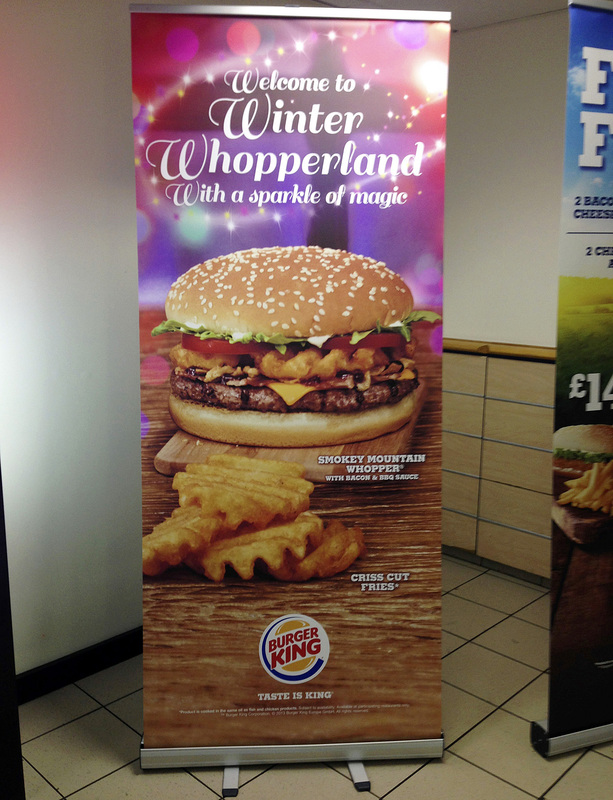 A good rule of thumb is to spend on dressing your stand space, with graphics at least 150% to 200% of the stand space price. 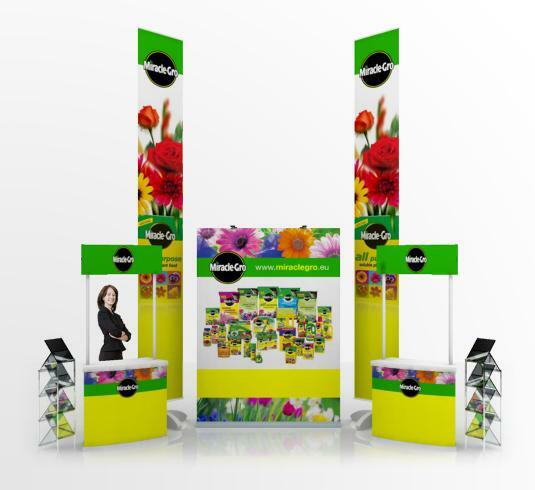 The second thing you want to consider is does this stand reflect my brand and business well and is it versatile, so you can use it at more than one venue and in varying sizes. There’s a good reason to buy the best you can afford straight off the bat, that is firstly your company, instantly should look the part, budget permitting and secondly, I think you’ll find if everything is on point, your company will benefit, ten fold, in theory. Potentially at any given fade show, there are thousands and thousands of prospective clients, investors and Joe public and all have an up side to a positive outcome for your investment. Obviously the more professional and unique you look, in theory and practice the better the outcome. Clients come to us because we offer more solutions, greater hand-holding and design and so much more, we pride ourselves on our ability to make your business stand out from the crowd and in turn reap the greatest rewards, time after time. We print thousands and thousands of trade show stands every year and not only that we design them as well, we recognise the best looking stands and with such a wealth of information, we can implement those ideas into your exhibition stand banner, the end result is a stand to behold over all others and with nominations for multiple design and innovation awards it’s no wonder why probably the best marketing, design and advertising companies use us. 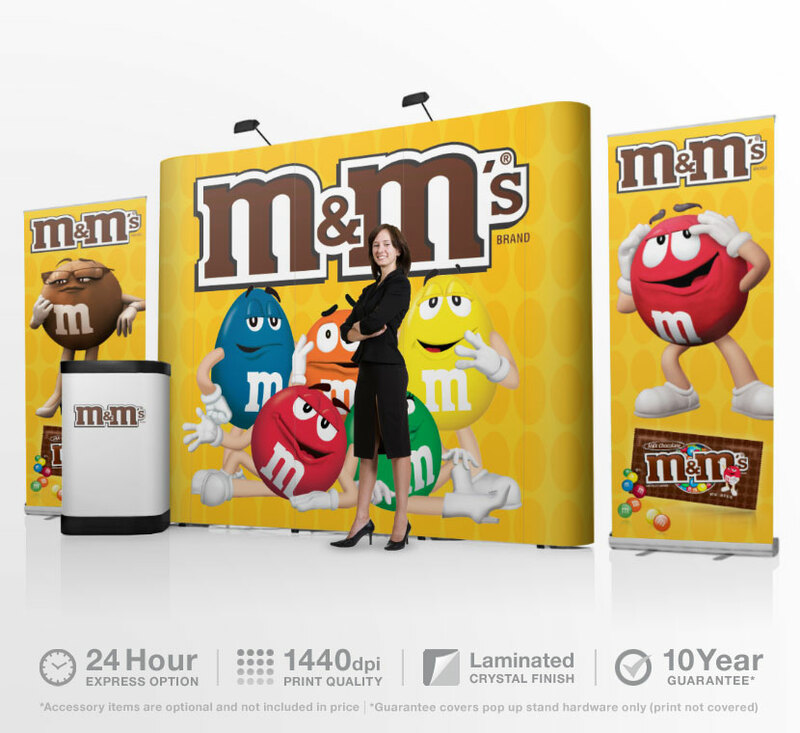 No matter the size of your exhibition stand, stand banner can 100% meet your needs at all levels, from price to customisation. 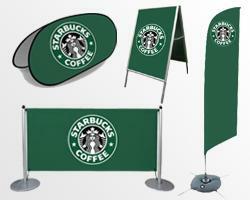 All business are unique, so it stands to reason that every exhibitor will need a relatively unique stand that is custom suited to reflect they’re business or needs. 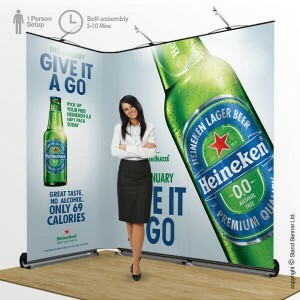 Size, style or requirement can be for filled, relative to your budget, we also cater for portable marketing systems as well as portable trade show banner stands.